As editors, feedback is part and parcel of daily life. We get a manuscript from an author and we’re paid to give feedback on it. We know, through a combination of training, experience and common sense, that as well as giving constructive criticism, it helps to make positive comments and be encouraging at times as well. Being specific with our comments and making suggestions for improvements or alternatives is also good practice. And of course the author is perfectly within their rights (yes, really) to give us feedback on our feedback so it works both ways. It’s not just the editor/author pairing that does the giving and taking of feedback – there’s also the editor/project manager combo, the editor/designer, the editor/media researcher, not to mention various additional combinations involving an audio producer, video producer, software developers, actors, etc etc. (‘That was great but it doesn’t sound quite Polish enough, could you do it again please?’ and ‘I love the accent but would you mind doing it one more time with more emphasis on the rising intonation at the end of the sentence?’ are a couple of examples of feedback I’ve given in the studio recently.) Any number of these members of the project team can be in house or freelance. The first time I really noticed missing feedback was several years ago when I completed a project management job which had involved three levels of a multi-component series, including the content edit of two of the student’s books. When I handed the final batch of work over and submitted my final invoice I expected to get an email in return saying something along the lines of ‘thanks very much, everything has been received’. A sign-off like ‘thanks for all your work over the last couple of years – it’s been great working with you’ would have been welcome, but not essential. But nothing came in. To this day I have no idea whether the publisher was pleased with my work or not, or even whether the final handover was received at all – although evidence on the shelves would suggest it was. Neither have I ever been asked to do any other work for this publisher since. I’ve never had such an extreme experience as this again, but there have been several other times when a reassuring acknowledgement email would have been appreciated, or some thanks at the end of a long project. Fortunately, I know from other freelancers that actually it isn’t just me. Which is a relief because otherwise I might take it personally. But it’s still far from ideal. Of course there are the jobs that finish neatly with a handover, an email from the in-house contact to confirm receipt, and sometimes a short note about how much the work has been appreciated, and even occasionally a further offer of work. Or a drink. Or even a LinkedIn recommendation. And I know one editor who received chocolates once. All well and good. But what about points for improvement? Or the opportunity for the freelancer to give the publisher feedback? These are areas where I think we could all do better. I know from experience that there are times when an email along the lines of ‘it’s not you, it’s us’ (usually worded something like ‘Due to budget restrictions we’re bringing the remaining stages of this project in-house.’) actually means ‘We’re a bit surprised you hadn’t noticed that there are no reading texts in this student’s book and are giving it to someone who will do a proper job.’ Also in my experience that happens extremely rarely, but if there are areas in which a publisher would like to see things done differently, let’s hear about it. 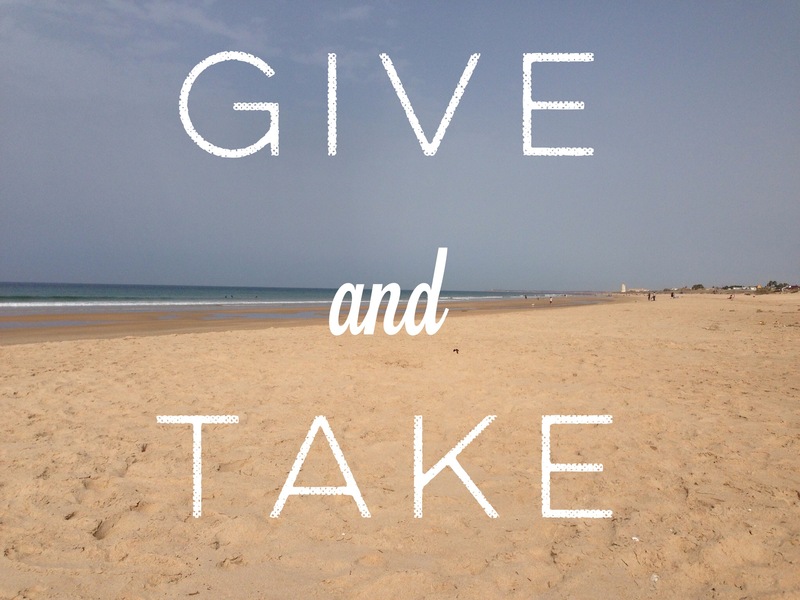 And let’s give AND take. I frequently get messages through my White Ink Facebook page from other freelancers asking me how I’d deal with situations where an in-house team member has undone the freelancer’s work for no apparent reason so it has to be redone at the next stage, etc. If the work has been done in a way that doesn’t meet the client’s need, or the brief has changed, let’s hear about it. Or give us an opportunity to give some feedback along the lines of it being good to be kept informed of changes that are made when the project is not on our desk. This is just one example, but there are many others that come up. No, I’m too busy getting on with the next job on my desk. No, I don’t feel comfortable giving negative feedback. No, I might not get any more work from the client if I make any criticism, however constructively I word it. I worked in-house at Macmillan before becoming a freelancer in 2008. For a couple of years before I left we had access to a Freelance Feedback form, but I don’t think it was used very much, for the reasons given above, or because people didn’t know about it. It was a two-page document – one page gave the in-house team member an opportunity to comment on the freelancer’s work, and the other page was for the freelancer to fill in. Straightforward questions such as ‘Was communication with the in-house editor satisfactory?’ and ‘Was the work completed according to the brief?’ allow for straightforward answers and further comment as and when necessary. Simple, particularly if it’s used as a matter of course. So, in conclusion, I’d like to suggest the following ground rules for feedback between in-house and freelance project team members. Some already do this well, but others, if I may be so bold as to offer some feedback, could do better. In-house team members should acknowledge receipt of final handover of work. Either side should tell the other if they’ve enjoyed working with them – e.g. handover notes have been full and complete; presentation has been particularly clear, etc. Either side should feel able to give the other constructive criticism if there are areas where the work could have gone more smoothly – perhaps briefing could have been clearer; dates could have been adhered to more carefully, etc. To avoid problems arising after the work has got too far underway, freelance team members should send in a section of work to make sure it’s being done as required. Any issues on either side can be ironed out sooner rather than later. What else would you add? I’d love to hear your experience of the give and take of feedback, whether you’re in house or freelance, or an editor, designer, media researcher, etc. Please comment. Next > Networking – what, why, when, how? I think the same goes for writers too. Unless you’re the main author of a big title and going to be involved in promotion, writing jobs often end rather abruptly when you hand over your last unit. I’ve lost count of the number of jobs I’ve put months of work and heaps of effort into that have just disappeared into a black hole; no feedback, no ackowledgement and no info about when the book might be published. Like you, the next I know is usually when I spot a book I’ve worked on along the line on a publisher’s stand at IATEFL. I think part of the issue is that my main relationship is often with a freelance editor and so I only have minimal contact with in-house folk. On the odd occasion where I’ve had an in-house editor, there probably has been at least a bit more friendly acknowledgement and thanks, even if no formal feedback. I’d certainly welcome a bit of constructive feedback on my work too. I think the situation might be more extreme for writers if anything. If you’re working with a freelance editor, you’re more likely to get the final sign-off and acknowledgement from them. The manuscript will go through them before it gets back to the in-house person. But I agree – if you’ve been commissioned by an in-house team member, it would be good to hear from them, and not just at the end of the project. People are definitely scared to be critical, but if it means that I will do a better job in the future, then I welcome the feedback. Just, be gentle! A couple of times I’ve handed over the final documents and not received a single word back. However, they have gone on to offer me further work, so I don’t take it personally! Mostly though, I do receive some kind of feedback, which is always appreciated. That all sounds very encouraging, Natalie. Have you ever felt like offering any feedback in return? I have felt like it, but other than the usual ‘great to work with you’, no I haven’t. I’m worried both about upsetting anyone and/or burning bridges!! And I’ve never been specifically asked for feedback. If that was the case, I would. Bit of a Catch 22, isn’t it! Thanks for such a brilliant, thought-provoking post. I really like the fact that you’ve ended with a call to action. I was nodding all the way through your post. For my last handover, I was so surprised to receive feedback it prompted me to post on social media. I hadn’t asked for feedback specifically but it came within an email and was incredibly constructive. I think you’re absolutely right about sharing feedback in the early stages rather than at the end of a project or before you reach a deadline/milestone. I’ve only realised this recently but I now try and build in time to ‘check in’ with my in-house contact in the early stages to make sure I’m on the right track so perhaps the feedback part could actually take place at an earlier stage rather than at the end of a project. Thanks for commenting, Jemma. And for sharing your good feedback news! I do think checking in early is a good idea, but when feedback comes out of the blue it’s even better, isn’t it? Yes, out of the blue feedback is a real treat and probably the best kind. I also think we need to ask for feedback directly rather than waiting for automatic acknowledgements. Thanks for this Karen – coincidentally, just last week having handed over and feeling a bit sad that I’ve not received any kind of acknowledgement thus far, it’s reassuring to know that others have had similar experiences from time to time, though I have to admit it’s not often I get nothing at all. I suppose if things have gone well, a simple ‘that’s great and thanks very much’ sits fine with me, but I have to admit I am often left curious to know how far what I’ve done has hit the spot and, if any, what amount of further tweaking was needed after it left my hands – then I could ensure an even better result next time round. I get the impression however that most managing editors just don’t have the time to give this kind of detailed feedback once I’ve delivered the goods, so to speak, and so I tend to ask questions and double check my approach as I go along when the lines of communication are fully open – at least I then feel I’ve done my absolute best to get it right for them. Thanks for your comment, Kerry. As Jemma said above, I think questioning and checking at the start is the best way to deal with things at the outset of a project. Have you thought about contacting the person you handed over to last week, just to check all was well? I’m sure in most instances it’s simply a question of people being very busy, but it would be helpful to hear, wouldn’t it? Thanks Karen – yes, all good, I will – my contact is someone who I’ve been working with for some time now, so I’m pretty confident she’s just busy – normal pattern of behaviour! I work exclusively with freelancers and I would never dream of NOT giving feedback.When a writer sends something through I make sure that I respond, thank them and tell them I’ll be in touch about feedback. I also try to have follow up calls with them on a regular basis to check progress and go over any queries that they may have. As soon as I hear about a change in a project I contact the writers and let them know. If I don’t do this, how can the writer produce what’s required? It creates more work later on in the long run. From my point of view writing is a collaborative process and the better the communication, the better the product. Perhaps I do all this because I work as a freelancer as well and value feedback. Thanks for commenting, Sarah. I think having the freelance perspective on things makes a difference, and your point about more work being created if communication isn’t full and clear, is a really good one. Keep up the good work! Sarah, I wasn’t so much talking about feedback on the content of my writing as I go along (that’s just a normal part of the writer-editor relationship) – it was more at the end of a project taking time to overview how the whole project went, whether the working processes worked as they should etc. I think when I’m working with a freelance editor, they don’t feel that’s their job and the in-house person is in a panic with production schedules etc. I often get a friendly ‘nice to work with you,’ from the freelance editor and if I’m lucky a ‘thanks for all your hard work’ when the in-house person confrims I can send my invoice , but nothing more structured and definitely no chance for me to give any feedback. How would you feel about offering unsolicited feedback, Julie? It’s good to know that end of project feedback is just as important and I’ll make sure I do it for the current projects I’m working on. Generally, I pass on any information I receive about how a project is working, because it something I know I’d appreciate. I also think it’s important, if you want to work with the writer again. I also ask writers to feedback on the briefs and templates that I create, so I can develop them. A great post, Karen. I totally agree with everything you’ve said. When finishing a freelance job, I tend to send a final email and say how much I enjoyed the job (if it’s true! ), mention what I found helpful and ask for their feedback. I would say that 50% of the time I get no response to that email. If and when a response does come, I invariably find it useful. If it feels approriate and as though they are likely to be responsive, I then sometimes give some constructive feedback at that point. I agree that it is a great idea to send in a section of work and ask for feedback early on in a project. To that suggestion I would add that it’s also extremely useful to time how long that first section of work took. You can then extrapolate this and estimate whether the time allocated for the whole job is realistic. If it isn’t, this factual information can be an invaluable tool in negotiating a time extension, a greater fee, or a reduction in the remit of the job. Good point about using the first section as a guide for time and cost, as well as to solicit feedback. Hope your 50% return rate on emails starts to improve. Yes, Kerry. I should have added that when I have raised timing/cost issues there has without exception (as far as I can remember) been a willingness to discuss and adjust accordingly. So yes, I would definitely encourage people to have those dialogues. I don’t ask for feedback but I do kind of expect it, and usually get positive comments along the lines of ‘Thanks so much for your hard work’, although last week I was given a little more detailed praise, and it was very gratifying. I have to admit though that I do remember, as a Comm Ed in house, how exhausted we all were when the last proofs came in from freelancers and how we had to rush for the final push to get marked sign-offs to production. There was hardly time to eat and sleep in those periods, let alone have a moment to send the freelancers detailed feedback, and it was usually a cursory ‘Thanks so much, please send us your future availability’. Maybe things have changed and those in house have more time on their hands, but given the publishing schedules I frequently see nowadays, I suspect not. Thanks for commenting, Nicola. Glad you’ve had some good feedback – it does help, doesn’t it. Did anyone ask you for feedback on the project though? I suspect not. But yes, I’m sure everyone’s very busy. Hi Karen, thanks so much for a very thought-provoking and interesting post and comments! I’ve final got round to reflecting on it. Advance apologies for the long response! You’re right on the money, I think. In my (admittedly not yet huge) freelancing experience, there is often a lack of feedback from in-housers responsible for commissioning or managing a project. Mostly, I agree that it’s because they’re just too busy and have already moved on to the next project, but occasionally I think they’re somewhat fearful of raking over aspects of working relationships or other aspects of the project that didn’t go as smoothly as planned and that they would rather sweep under the carpet. In other words, it’s just too icky to go there. I think your post highlights two separate (but certainly related) issues, really: the importance of acknowledgement at the end of a project and the importance of some degree of mindful reflection on how that project went, what went well and what could be done in future to ensure that similar projects go even better. Hi Sarah, and thanks for such a detailed comment. I totally agree with you that there is a difference between acknowledgement and reflection but it’s a shame the two don’t go hand in hand more often. I don’t think even in-house teams reflect fully often enough, but as freelancers it’s very difficult to offer your input if it’s not solicited. Maybe we could try making a gentle suggestion from time to time and see what happens. Your final point is of course very true – more goes well on projects that goes badly. At least, by the time the project has finished the tricky stages have more often than not been forgotten about in the rush to move on, and I don’t think that’s likely to change in the near future.